Noted: There are 3 questions (25, 26, 27) were updated in 11 March, 2018. Which protocol is used by a client to communicate securely with a web server? HTTPS is a secure form of HTTP used to access web content hosted by a web server. What message type is used by an HTTP client to request data from a web server? HTTP clients send GET messages to request data from web servers. What is the function of the Nslookup utility? 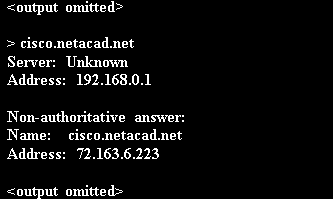 Nslookup is a command-line utility that is used to send a query to DNS servers to resolve a specific host name to an IP address. The HTTP message type used by the client to request data from the web server is the GET message.